Introducing the Light Kinetics LK-HB1, the first commercially available LED based option to typical metal halide based high bay luminaires for industrial and retail applications. Utilizing clean, safe, and long lasting LED technology. The LK-HB1's amazing patented high power LED technology offers a direct option and/or replacement for existing high bay luminaires. 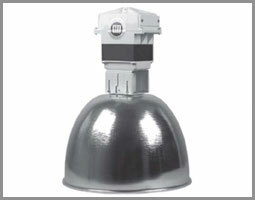 Typically a high bay luminaire is placed in very high and difficult to access areas. Making replacement an expensive and laborious task. Our LK-HB1 offes a similar light output to a 200 watt metal halide lamp and consumes only 50 Watts of power. Further it has an expected lifetime (at 12 hours daily usage) of 7 years! With zero to minimal maintenance.